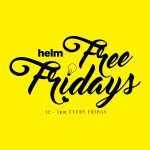 HELM - Shared Office & Coworking | How to Pay it Forward: 3 Ways to get Started. 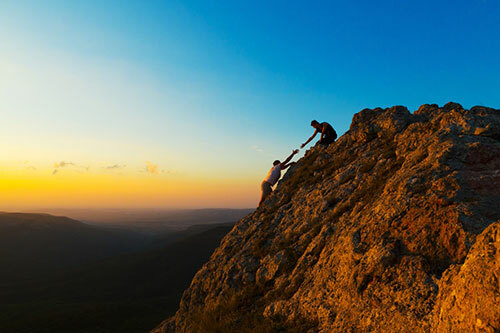 How to Pay it Forward: 3 Ways to get Started. With Pay it Forward Day just around the corner (it’s on the 28th April) we wanted to talk about how it works, and why it’s a big part of the way we do things at Helm. It all started with a book (by the same name) which then became a film featuring a small boy who does 3 things to help others in need, then asks those people to do the same. Pay it Forward Day captures this by asking us all to perform 3 random acts of kindness, with the hope that it spreads throughout the world. Last year, people in over 75 countries took part – quite an achievement! The beauty of paying it forward is that it’s really easy to get started. All you have to do is think how you can help someone – however big or small – and go do it. The trick is not to overthink it. It could be as simple as holding a door open for someone who is carrying some boxes, or paying for a coffee for the person behind you. Think about how you can do something nice for someone, and you’ll soon start to become more aware of opportunities to help. Most startups decide to set up a business because they’re very skilled at something. This is what makes them ideal candidates for the giving first culture. As an entrepreneur, your skills will be incredibly valuable to someone else who’s trying to grow their business. We promote a collaborative environment at Helm because we strongly believe in the benefits of giving first. By supporting each other, and giving our expertise without being asked we can all grow and benefit. Perhaps you could organise a workshop where you tell people how to do something that will help their business grow, or you could offer a different point of view to someone working through a problem in their business. The main idea of pay it forward is that your act of giving first will inspire someone else to take similar action. When someone thanks you for your help and wants to help you in return, great! We really encourage this at Helm. You should also tell them about paying it forward philosophy and ask if they’d be willing to help other people they perhaps don’t know. You’ll find that by helping others (however small) you’ll change people’s attitude towards you, and with that change often comes opportunities. We need to stop waiting for the ‘right time’ to give – I’ll give back when I’m a millionaire, when I have a profitable company, when I have time – and just start now. When you do this you become a leader, and that’s the kind of people we value here at Helm. Because we’re all about practising what we preach, we’re giving a month at the Helm co-working space (normally £150) for FREE in exchange for a contribution of your skills. If you’d like to contribute you’ll find out more here. We want to see you succeed, and we’re willing to pay it forward to see that happen.